Godspeed was once fueled by lies. Now it is ruled by chaos. It’s been three months. In that time, Amy has learned to hide who she is. Elder is trying to be the leader he’s always wanted to be. But as the ship gets more and more out of control, only one thing is certain: They have to get off the ship. What an intriguing story.. in a way, even intriguingly sad. This book finds us right where the first one left us. Somewhere between Sol-Earth and Centauri-Earth, suspended in time and space. There is no more Phydus to control the people around the ship and they are quite out of control. People don’t work, people start to fight, they suffer from depression. They start having feelings, they start thinking for themselves and the fact is that they don’t know how to control those emotions: desperation, fear of the unknown, even joy are all strange to them and, as we found out in the first book, they don’t know how to deal with changes. In “Across the Universe” they were like machines (hollow eyes and empty minds), doing their duties but not thinking at all… Now they don’t know how to become human again. You would think that humanity can be passed through the genes, but this story makes you wonder if that’s really true. But then again, what is humanity if at the first sign of crisis people start panicking and they only know how to deal with their problems through violence? What would sane people do? Get the ship running and get to the new Earth for once, but this is not the case, because it is so easy to point to the things that go wrong, but it is harder to give a hand and make them right again. I realize now that they’ve never needed a leader to ‘lead’ them; they just need someone to blame for what goes wrong (there is no food, people are not working – who could possibly be the responsible for this? Elder of course… and if it’s not him them the ‘redheaded freak’). Instead of helping they just lay around in a pool of laziness and complain like stupid monkeys they are (sorry if I’m harsh, but it is true, and I hate humans with no brain between their ears). In the history of Godspeed other leaders had tried to tell the truth and people on board have gone ballistic trying to tear the ship apart. Then the Eldest system came into play and they tried to hide the truth with great sacrifices (of even lives) and they ended with their younger selves turned against them (think Orion and Elder). These days Elder is trying the middle path, but there are too many bumps in his the road, and he is young and he has no one to give him advices, and everywhere he turns his head he sees people trying to hide things from him or to revolt against his will. I was surprise to see how much truth lies between these pages. I am ashamed to realize how humans can react in difficult situation, how easily they lose their humanity, their faith, their hope, how selfish and narrow-minded they are, how their are unable to see outside the box (you see the irony here), how they could kill to prevent others from knowing the truth, how they could turn one against the other without second thoughts. I have no doubts that if we were to live on a ship like this one, people would do all those things and some more.. how sad is that, right? The book felt a bit like the usual second book in a series, a good transition to the next one, with enough action to keep you entertained but without the ‘wow’ feeling from the first one. I expected for those things to happen the way they did, as after finishing the first book I knew that if they were to give up on Phyrus, then chaos would be there to embrace them all. In a way I can understand how the people on Goodspeed felt.. They have been safe all their life in their golden cage. They don’t know how to fight or to survive in an open environment, they had it all without putting too much effort into getting it, and they were now afraid to lose it all – to lose that illusion of safety, security, normality. But that doesn’t make it right, that doesn’t mean they shouldn’t want something better for them, that doesn’t mean that they have the right to do the things they did, because it’s all about ‘choice(s)’ and the freedom to chose. And that’s why I liked Elder so much – because he understood that. I can’t tell you much about the story, but I will tell you that the videos seemed to be a bit too convenient, and even though at the end I could see the pieces of the puzzle fit together (more or less), there were some things that I couldn’t completely believe. Still, the ending was the one I expected and now I can’t wait to see what adventures awaits for them in the next book. I think there is no one on the ship that has lost more than she did. She doesn’t have a home anymore, her parents are still frozen and she is not allowed to bring them back to life, everyone hates her on this ship and she doesn’t even know if she’ll get to land on a planet ever again. 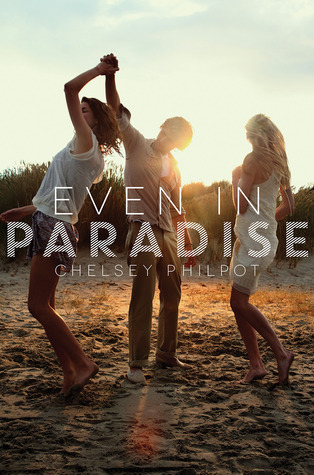 She misses Earth like crazy and she wants so badly to get to Centaury Earth. Her only friend is Elder but he is too busy running this ship. She finds herself searching for clues left behind by Orion and she wants to find the truth he has been hiding, because he says that she is the only one to make ‘THE decision’ they’ll have to make one day. I am the only one who truly misses them. Of all the two-thousand-whatever people on this ship, I’m the only one who knows what it is to lie in the grass in your backyard and reach up to capture fireflies floating lazily through the stars. I’m the only one who knows that day should fade into night, not just clicking on and off with a switch. I’m the one who’s ever opened her eyes as wide as she can and still see only the heavens. He was just a kid when he started to get prepared to lead the people on Goodspeed. His tutor died too soon and he knows that he is not prepared for this ‘job’. He lacks authority and he struggles to solve all the problems running from one to the other, fighting against the people he is trying to help, but in this crazy mess he starts to grow up, as a person and as a leader. He starts to realize that if he is the leader he has to act like one. He makes mistakes, but he also takes good measures in some difficult moments, and by the ending, even though he is still not sure that he is the right leader his people need, he is there for them, leading them home. I see the stars as a part of the universe, and having spent my life behind walls, suddenly having none fills me with both awe and terror. Emotion courses through my veins, choking me. I feel so insignificant, a tiny speck surrounded buy a million stars. Even though Amy has a hard time forgiving him for awaking her the way he did, the moment he did, all the actions from the first book made their friendship grow and now it is time for them to realize that there are other feelings in their heart, for each other. They both need to be loved and to love as well. Maybe Amy doesn’t have other options.. Elder is the only guy at her age and maybe she wouldn’t have liked him in her past life, on Eath, but they are here now, together, and sooner or later they had to realize that love can simply happen, and it feels even better when you let yourself enjoy it. I would do anything to make her happy again, so I give her the stars. Now I wonder.. Was it worth it? The truth, the deaths, the fear, not knowing what will await for them.. All that struggle to keep the ship together when everyone turned against the only person that was trying to really help them.. When the truth can kill, when the truth cannot be handled, when the truth is too big, when it surrounds you and you choke on it..
Is this feeling worth it? Of being closer to home; hoping to see the birds, the sky, the two suns, the rivers; wanting to feel the heat of a real sun, the brize of a real wind, the cold of drops of rain… Is it? And I guess that we will find out soon… but still not soon enough. This books seems so good. I really need to start reading this series because it seems like a book I would enjoy. Thank you, I love this series. I don’t know how I’ll be able to wait until the next one comes out. Hopefully you will love these books too. I bought the first book in the series a few weeks ago and been meaning to get into it since everyone loves it so much. I love this series! Some things I loved more in the first one, some others in this one – but one thing remains the same: the need to read the next book ;)) I hope that you’ll enjoy it as well! this sounds much more interesting than book 1. 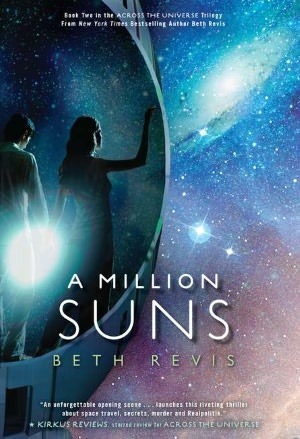 I always prefer it when an author explores emotions and it seems to me that there’s much more of that in A Million Suns. I might give it a chance after all. I don’t see why not, I even own a copy. Oh, and I hope you’re enjoying The Catastrophic History. I really loved it. 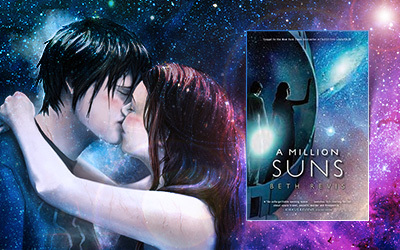 As for A Million Suns, except for the fact that some things seem to be a bit too convenient, I really enjoyed it. I knew this was suppose to show how people would react without drugs keeping them together, and we saw plenty of that. Sometimes I felt so bad for poor Elder ;))) I hope you’ll like this story too! I really enjoyed this book. I feel like the reader delves deeper into the plot. Can’t wait for the next book!!! You’re not the only one. 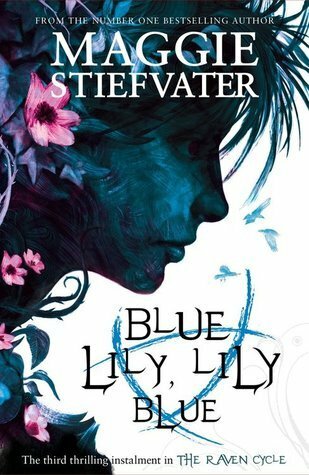 I still have some ARCs that I didn’t get to read even though the books are already out ;)) I hope you will like this one when you get to read it too.